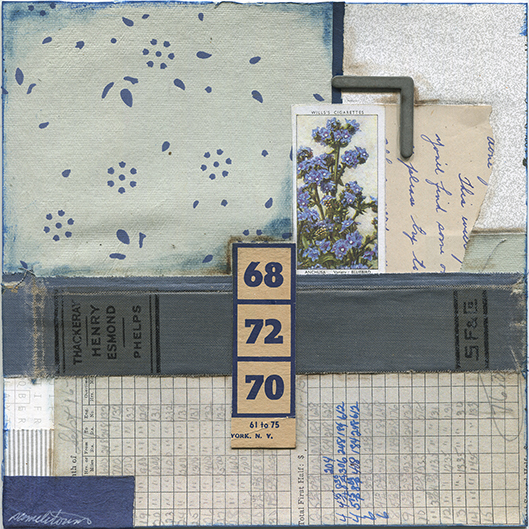 Number 5 in a series of 50 mixed-media collages featuring the garden flower cigarette trading cards produced by W.D. & H.O. Wills Tobacco Company between 1875 and 1949. 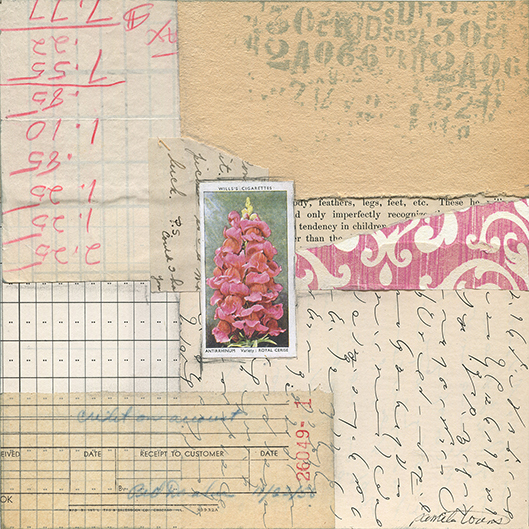 Number 4 in a series of 50 mixed-media collages featuring the garden flower cigarette trading cards produced by W.D. & H.O. Wills Tobacco Company between 1875 and 1949. 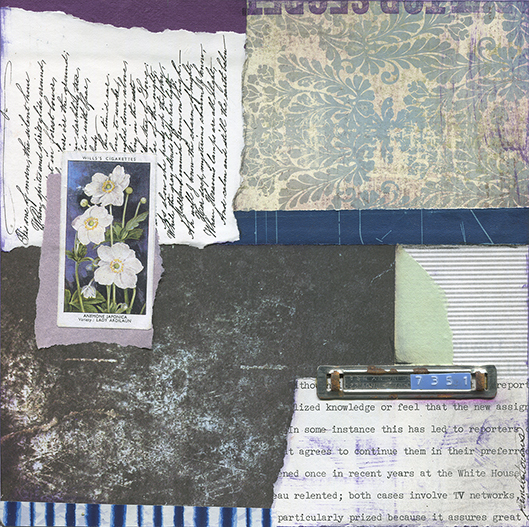 Number 3 in a series of 50 mixed-media collages featuring the garden flower cigarette trading cards produced by W.D. & H.O. Wills Tobacco Company between 1875 and 1949. 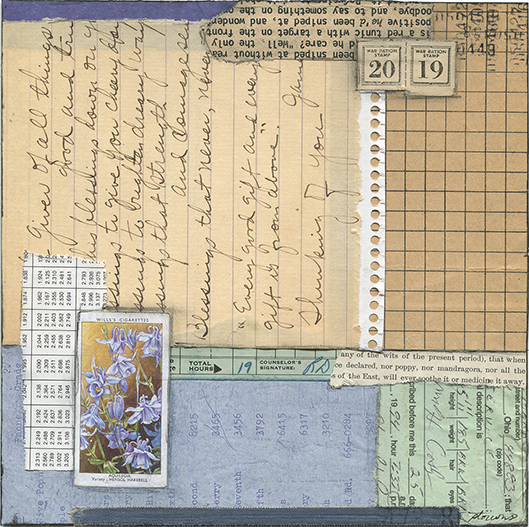 This collage is the first in a series of 50 pieces featuring the garden flower cigarette trading cards produced by the W.D. & H.O. Wills tobacco company between 1875 and 1949. 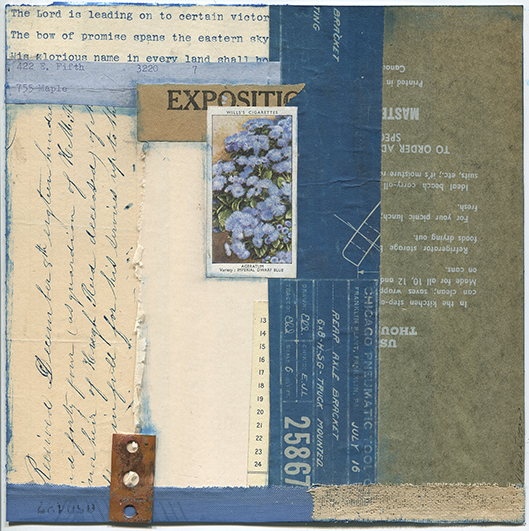 This collage features vintage papers, book covers, waxed paper bag, rusted metal and the No. 1 Garden Flower card.